Liam was born with Wiedemann-Steiner Disorder and suffered from an acquired brain injury as a result of a cardiac arrest event following his 6 month vaccinations. As a result Liam has many complex medical needs that required 24 hour specialised Intensive Home nursing care when he was first discharged from a prolonged hospital and Intensive Care stay. 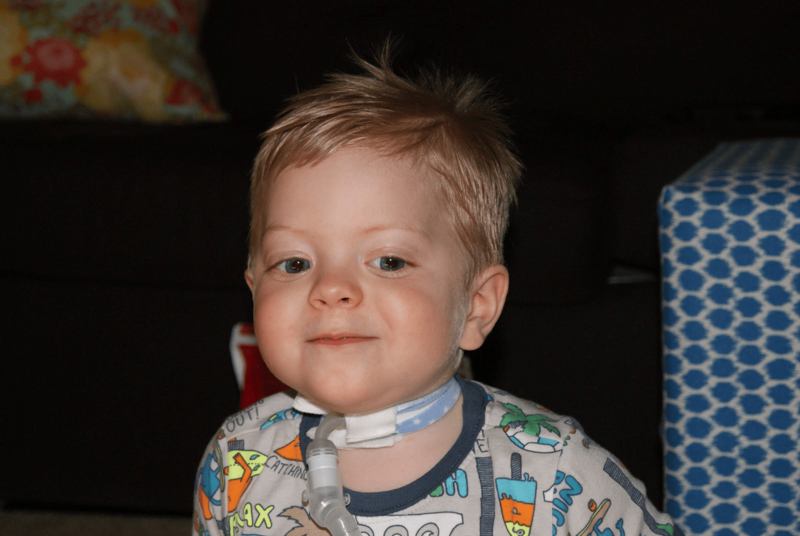 Due to respiratory issues, congenital laryngomalacia as well as sleep apnoea, Liam required regular airway suctioning and he required a CPAP mask when sleeping. Since Liam suffered a cardiac arrest with a subsequent hypoxic brain injury, he also had regular seizure activity, adding further complications to his already medically complex situation. 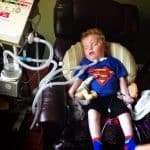 Without CPAP ventilation, Liam’s oxygen saturation was dropping as low as 75%, potentially causing a respiratory arrest and further brain damage if close monitoring and management of such desaturation wasn’t managed in a timely manner by highly skilled ICU/PICU nurses. Any desaturations also made Liam more vulnerable in order to sustain another cardiac event, including another cardiac arrest. 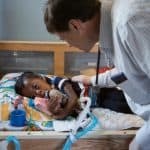 Liam also had multiple ventricular septal defects (VSD’s) since he was born that didn’t need any surgical intervention. He also had a Patent Foramen Ovale (PFO) with left to right shunt. 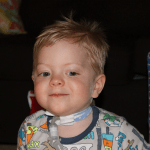 Furthermore, Liam had oral aversion, failure to thrive and therefore initially had a nasogastric tube, then a naso- jejunal tube was placed until Liam underwent a fundoplication and then a permanent PEG tube was placed. 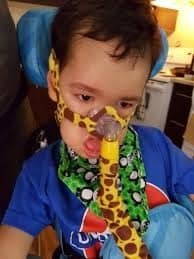 Liam therefore needed 24/7 Intensive Home Care nursing with a team of ICU/PICU nurses to safely transfer Liam back into a loving home care environment, instead of spending another a few months in critical care due to his ventilator dependency and risk of seizure activities. Especially grand mal or tonic-clonic seizures in combination with an already compromised airway can cause further apnoeic episodes, airway blockages, aspiration pneumonia that can lead to further complications such as respiratory arrest, cardiac arrest potentially leading to more irreversible brain damage, death and/or prolonged Intensive Care treatment. 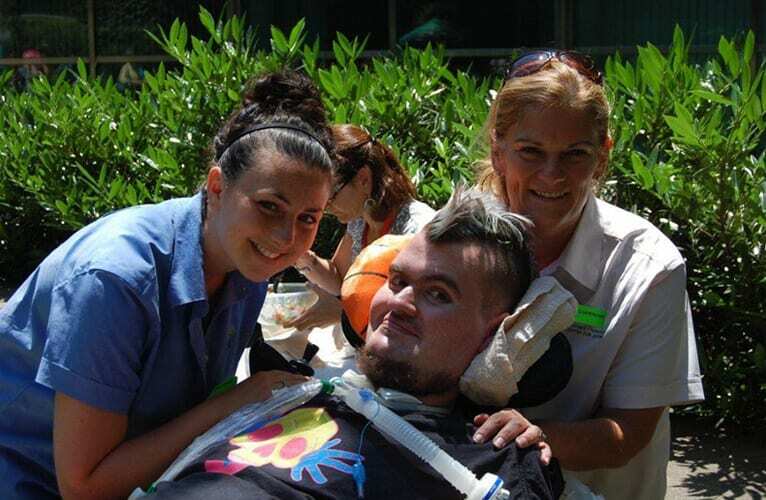 Given that Liam remained high risk for all of the abovementioned medical complexities, a medical recommendation was made that the only safe option for Liam to go home was with specialised Intensive Home Care nursing so that mechanical home ventilation as well as appropriate seizure management can be delivered when and if needed in order to prevent Intensive Care readmissions. Our service and our team of committed, highly skilled and experienced ICU/PICU nurses was selected for Liam’s care due our high degree or specialisation and also accreditation needed to provide the high-level care at home. Like with all of our clients, it provides a win-win situation. 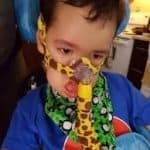 Liam was finally able to leave Hospital and go back home to his parents and furthermore, the cost of care from critical care/Intensive Care was reduced by ~50%. Furthermore, by taking Liam home, a critical care bed was made available for other critically ill children in need of a critical care/Intensive Care bed.